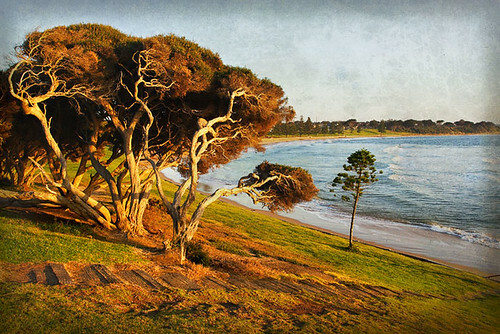 Here are two of my latest photographs made at Torquay on Victoria's magnificent Surf Coast. This area is a gold mine for photographers, and I find it an inspiring place to create new images. 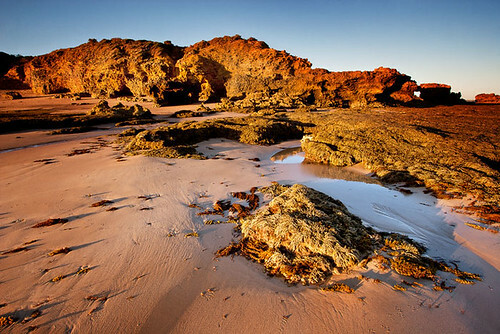 Surfing and landscape photography are currently my two favourite photography pursuits, and with Torquay providing these opportunities, I'd like to suggest to you to visit there and investigate for yourself. I think you'll be rewarded for your effort. Ever wondered how much work goes into making a digital photographic image from the original RAW file to the completed Edited image? 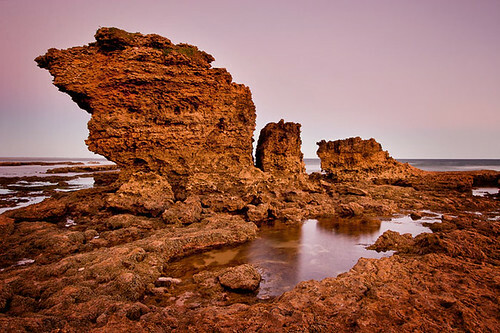 Here's a sample of a recent photograph I made at Rocky Point at Torquay along the Great Ocean Road in Victoria, Australia. This is an example of what can be achieved in the digital photography process from the point of capture in RAW, to the completed Edited photograph using Photoshop Elements. If you want to improve your photo editing skills and knowledge, I offer a photography mentoring service to amateur photographers. See the Mentoring page for further details. 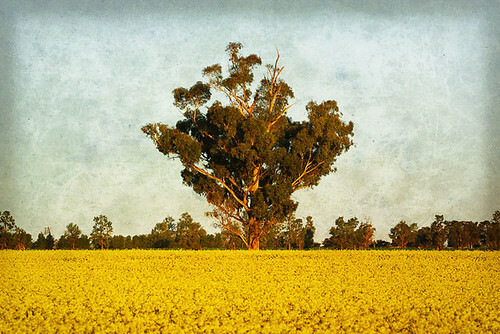 On Monday 18 February, 2013 at 8:00pm, I will be presenting my Landscape Photography - Research, Plan, Accomplish master class at the Essendon Camera Club. The presentation will be interactive and we will explore the reasons as to why some people are motivated to make excellent landscape photographs. We will closely analyse as to how a series of recently made coastal landscape photographs was achieved. This will make you critically think as to how you can better prepare to make the landscape photographs you want. 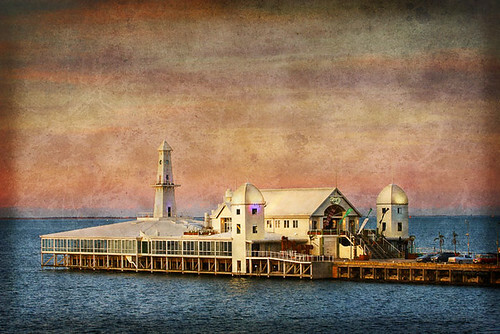 The master class series of presentations at the Essendon Camera Club is a new initiative for 2013, whereby skilled and experienced club members will be passing on their knowledge by presenting four master class learning experiences during the year. I would like to invite you to visit the club and enjoy my Landscape Photography presentation. Visitors are welcome. 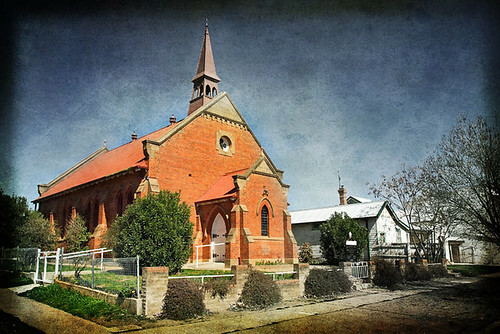 See the Essendon Camera Club website for location details. 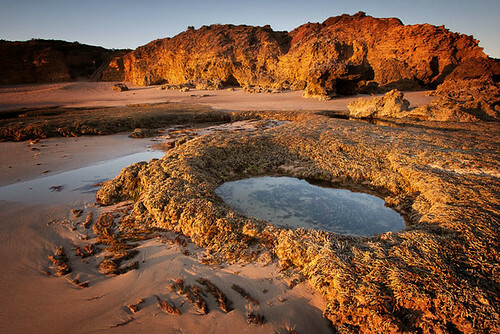 On Monday January 14, 2013, I travelled to Torquay on Victoria's Surf coast to specifically photograph Rocky Point during low tide at sunset. Fortunately, the sun was shining and this provided gorgeous lighting conditions for landscape photography. I've never seen the tide so low at Rocky Point during my previous visits, so the opportunity to make new and unique photographs was most pleasurable. I did plan this trip because I wanted to coincide the tide height and sunset conditions to give myself the best chance to photograph the beauty of this area. Before making this series of photographs, I investigated another beach area to the west of Bells Beach earlier in the day for a future photographic shoot. As you can see in these images, the sky was clear and devoid of clouds - sometimes not the ideal conditions for landscape photography, however perfect for including natural textures of the landscape. These photographs are also available for licensing. Contact me for details. See Stock Photography page for pricing and suggestions. Every so often I get the urge to try something different regarding my photography, and my latest work is to add textures to some of my photographs. I like the look created by the addition of textures as it tends to have more of an appearance of photographic art. What do you think? With the guy in the background riding the surf, the two making their way out to the breakers are carefully watching where they walk. 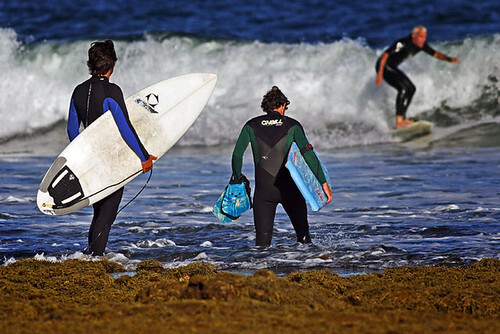 Choosing a low perspective and including part of the shoreline can help create interest in a surfing photograph. Having multiple people in the same image can also allow the viewer to see any interaction happening. Winkipop can get real busy, and it's great if you're a photographer creating a series of surfing culture. This is something I'm doing, and it's fun. Simply fun. 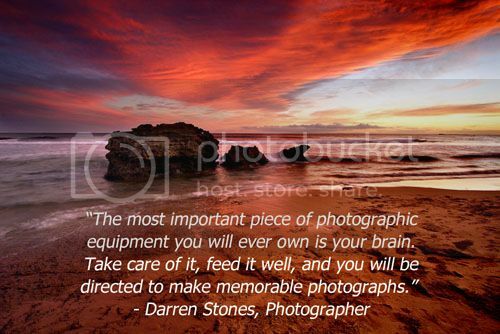 What is the most important piece of photographic equipment? 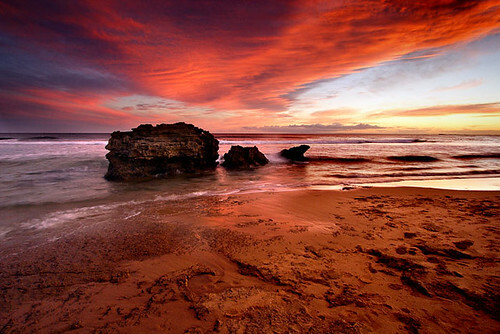 Why am I creating photographs pre sunrise at Bells Beach? It's an eerie yet exciting time of the day to find oneself standing on Bells Beach before sunrise. An early morning start - and by early I mean getting out of bed at 2.50am - can certainly stir the creative juices, whilst having at the forefront of the mind the need for thinking clearly about the image making process. Wanting to make new photographs can be a motivating force, particularly when you have a presentation to deliver in the not-too-distant future and you want to show some new images to an audience. Landscape photography is a popular subject, and when pursued with the intent to inspire people to create, it is a case of walking the walk - not just talking the talk. So, it's up before the sparrows. In February, I'll be presenting a Master Class about Landscape Photography. In no way do I consider myself a "Master", so delivering a presentation under that banner is a little daunting. However, researching, planning and putting together a "Master Class" requires a different thought process from which I'm familiar. It would be fair to say that the thought of delivering a "Master Class" is inspiring, motivating and an exciting challenge. I don't ever recall rising before 3am to photograph landscapes, so it's now obvious to me that being involved in this process is stimulating my photographic creative juices in a way I've never experienced. As a member of the Essendon Camera Club, it's a privilege to be even considered to deliver a Master Class at our club. I believe there's an important aspect to this upcoming series of Master Classes at our club during 2013. That aspect being that anyone has the potential to deliver presentations on photographic topics in which they have a reasonable level of proficiency. Sometimes people don't actually realise how proficient they are regarding a certain genre. We don't have to be high profile experts in our field to share knowledge and anecdotes to inspire people to create images. If we are reasonably proficient, we can assist others to pursue improving their skills, and possibly guide them towards delivering their own presentations. Let's think about the motivational angle to creating photographs, and the pleasure that brings to us. That's what I call a healthy recreational pursuit. What do you think? Please join me at the Essendon Camera Club on Monday 18 February, 2013 at 8pm so we can learn more about each other and what our motivations are regarding landscape photography. I want to know what motivates you to create landscape photographs. Visitors welcome and entry is free. 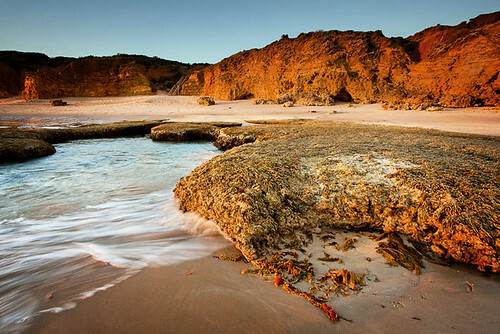 A new photograph in my ever-growing collection from the Surf Coast, Victoria, Australia. 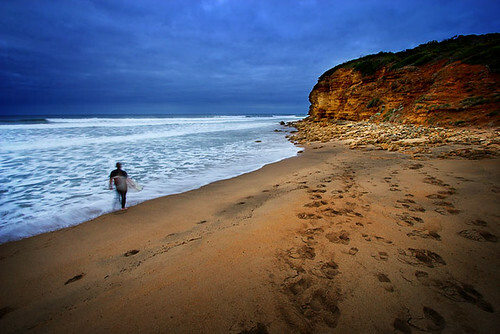 The Winkipop surf break is located in the Bells Beach Surfing Reserve at Torquay, and it attracts elite surfers from around the world. Surfing at Winkipop, Bells Beach, Torquay, Victoria, Australia IMG_8018_Torquay, a photo by Darren Stones Visual Communications on Flickr. This image is available for licensing for your projects. Please contact me for details. The Essendon Camera Club held its annual awards presentation during December 2012 and I am honoured to be awarded four awards in my first year of membership of the club. Having joined the club in March 2012, it's been a great experience to meet new friends who share a common interest in photography and are willing to dedicate their time to the club, share knowledge, and relate photographic experiences and stories. 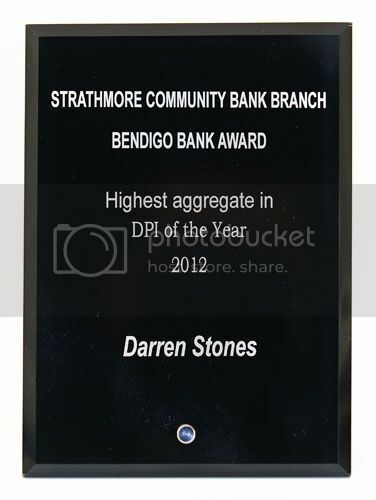 I was awarded 1st Place for the Strathmore Community Bank Branch Bendigo Bank Award for Highest Aggregate in the Digital Projected Image of the Year 2012. 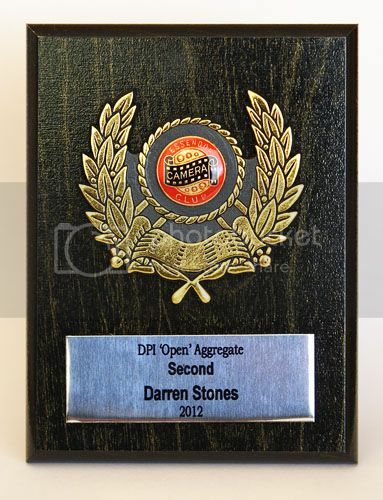 This award is a sponsored award and it is given to the member with the highest aggregate points scored for entries in the Club Award - DPI of the Year. The four photographs I submitted for this award were Dog Rocks, Jon Stevens, Kite Surfing at Merimbula and Surfing at Jan Juc. I was awarded 1st Place for the Club Award of Digital Projected Image of the Year 2012 for my photograph titled Kite Surfing at Merimbula. It's an honour to win this club award. To be eligible for this award I had to have entered the monthly competetions during the year and have submitted the image in the same format as originally submitted. 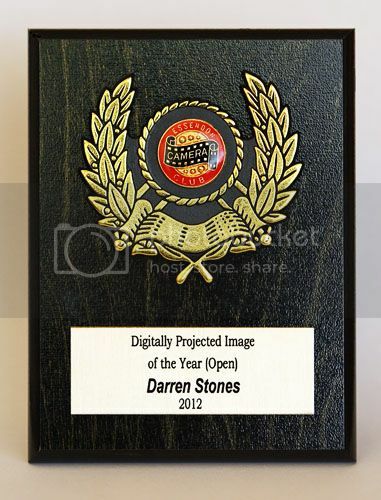 I was awarded 2nd Place for the Club Award of Digital Projected Image Open Aggregate 2012 for entries submitted in the monthly DPI category during the year. I missed the first three monthly competitions of the year due to joining in late March 2012, so this achievement reflects consistency in monthly open competitions judging. 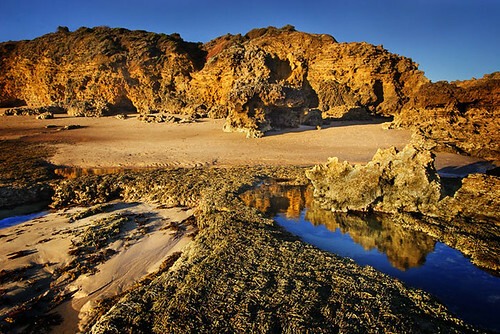 Each year club member Kevin Phelan donates an award, and in 2012 my photograph titled Point Lonsdale was judged by Kevin as the best landscape image. Kevin presented his award to me, which is a book titled A Nation In The Making. 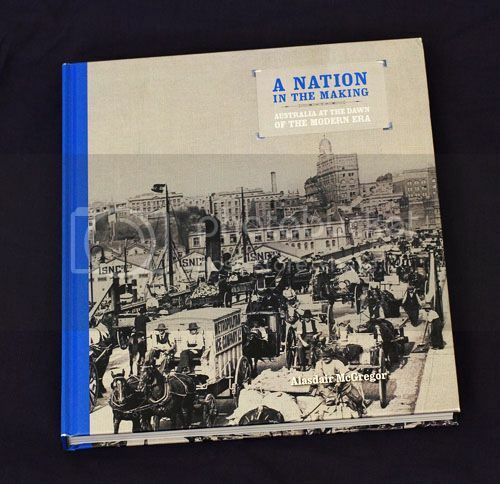 The book "is a fascinating glimpse of urban Sydney and rural New South Wales during the years leading up to Federation and beyond." I thank Kevin for his generosity in awarding me such a fine publication. I would like to acknowledge the sponsors who donated awards in 2012 and to all club members who volunteered their time and particpated in variopus club activities. 2012 was a great year for me, and I finished it off with a visit to Winkipop at Bells Beach on the Surf Coast in Victoria. Thought I'd share these new images as it's one of my favourite locations for photography. Always something happening with people contantly coming and going.